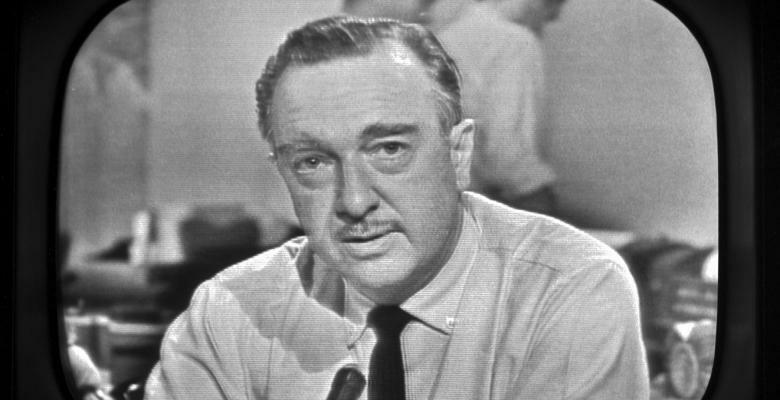 Men like Walter Cronkite would appear on American's small, black and white TV screens, reporting the news of the day. They were considered trustworthy, reliable sources who--above all else--held the integrity of the news with high regard. Back then Americans had confidence that the people printing their newspapers, writing hard-hitting exposés, and appearing in their homes each night had this magical thing called ethics. A reporter, regardless of his personal beliefs, was expected to deliver "just the facts" in order that the viewing public could form their own opinions. The fact of the matter is, we wouldn't have an America if it weren't for the press. It's so important, the freedom of the press is protected by the First Amendment. Right up there with freedom of speech and religion. Do you want to know why that is? It's because by the 1700's people knew that the press was a powerful tool. Newspapers were pivotal in turning colonist's opinion against Great Britain and back the small band of crazies that wanted Revolution. Newspapers brought information to people who would otherwise be in the dark. Since the creation of the printing press, tyrannical leaders tried to control what was printed, to prevent the truth from reaching the masses. The survival of democracy and a country by the people and for the people depends on the integrity of the news. For, if we are expected to hold our leaders accountable (a pillar of a republic society) we must know what they are up to and that they are listening to our demands and concerns. But a society that has a corrupt media, say for instance North Korea, in which the news outlets are controlled by the government's self interests, the people have no power. How can they demand change from their leaders, if the only information they receive has been adulterated? They can't rise up and elect better leadership, or hold current leaders in check, if the news is corrupted against them. This is true even in the good old U.S. of A. When once we had dedicated journalists, who put aside their bias for the greater good, we have corporations with agendas, bending the facts to manipulate the masses. A poll was being circulated by major news outlets that gave Hillary Clinton a staggering lead over Trump. Yet we see clearly that the poll sampled a shockingly small number of people (most polls have at least 1000) and sampled far more Democrats than Republicans. Couple this with the fact that the organization running the poll is sponsored by a Hillary Super PAC, any honest journalist would throw it out immediately. What would the news outlets say if a Republican-backed poll came out with reversed numbers? They wouldn't even run it. Yet our media is willing to trumpet a more than questionable poll to make it look like generally disliked and distrusted Hillary Clinton is beating Trump. This is only one small example of how far our news industry has fallen. Nobody expects individual reporters to not have their own political views. But it is the test of all competent journalists to divorce their own feelings from their duties to the public. The role of the news was once a noble, respected position. They carried the burden of delivering the truth to the American public, so the wheels of democracy would continue to turn. But now it is a laughing stock, with inept, cowardly, and corrupt reporters and journalists bowing to the will of corporate villains and political bullies. Trust in American media is at an all time low. According to Gallop only 32% of people have a fair amount of trust in our news organizations. 32%! No wonder newspapers are dying. Yet despite this shocking lack of support, mainstream media continues its desperate attempt to deceive viewers and prop up their political buddies. We as consumers are faced with a dilemma. How are we supposed to find truthful, accurate news, when we know so many of our news outlets have failed us? Well it starts by cutting out those groups that have been proven as liars. The New York Times, Huffington Posts, CNN's, and NBC's of the world. All of them have been exposed as distorting facts or allowing a gross bias to influence their stories. We need to seek out new and alternative sources of news and support them. We need to let the dying old media giants know that we will not be taken advantage of any longer. Perhaps a few of them will come to the light. Perhaps they will learn to eradicate this systemic pattern of corruption. Perhaps they will be able to right their sinking ships before it's too late. Perhaps not. But at the very least, we will be free of this dishonesty and perversion once and for all.